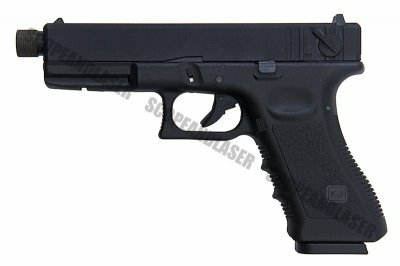 The KP-18 features a polymer pistol frame has been known for years before the introduction of the similar pistols that uses polymer body; automated safeties built into the trigger were known from the 1930s (Sauer Model 30 pistol), and pre-cocked firing pins from the first decade of the 20th Century (Roth-Steyr M1907). Lets talk about the ergonomics the KP-18 pistol was originally designed for Army use, and was intended to be an one size fits all proposition. 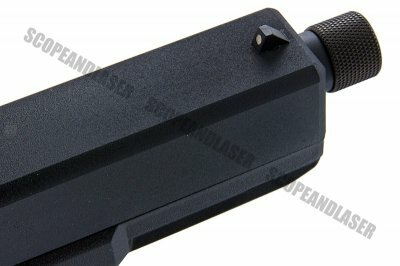 In fact, the square-shaped grip of the typical full-size KP-18 is of less than ideal shape, at least for many shooters. 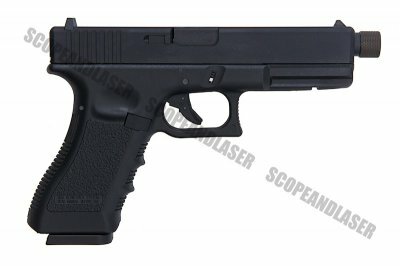 This KP-18, the full auto version of the 17 with the 14mm CCW thread, is a worthy replica of the real deal, combining excellent mechanics with the authentic-looking aesthetics of the exterior. As you would expect from KJ Works, this is a well-built gas blowback pistol, which is mechanically and physically very solid. Hard-kicking blow back system makes you feel pleasant to shoot it. Internal hammer system allows the gun to be pre-cocked for instant shooting. 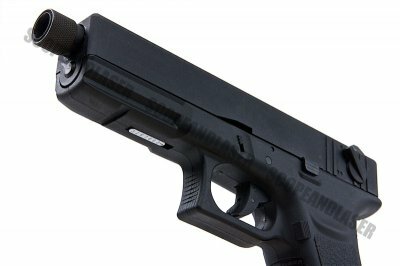 The trigger design means that accidental discharge is prevented unless you deliberately pull the trigger with your finger. 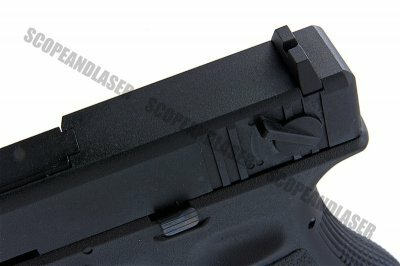 One of major changes i features is a steel slide which allows a stronger recoil from every shot. The hop-up dial can be adjusted once you take apart the slide. Disassembly is exactly like the real thing. Pull down on the disassembly lever and move the slide forwards off the frame. The hop-up dial is located on the barrel assembly which is visible after you remove the slide. Available in Black or Tan and in Gas or CO2 variants, with or without the 14mm CCW thread.